Summer time is here! It is a great time to relax and enjoy those “lazy” days! But before you know it, the kids’ boredom will set in, and you will begin hearing, “There’s nothing to do!” We have a few resources for you to put up your parenthood sleeve so you are prepared for those moments. Summer camps are a GREAT way to keep your kids learning, exploring and creating in the summer time. Whether it’s a one-day camp or a week long, it gives the kids something to look forward to and be excited about. Aggie Adventure Camps are offered all over the state of Utah. Click here to find one in your area and get more details. 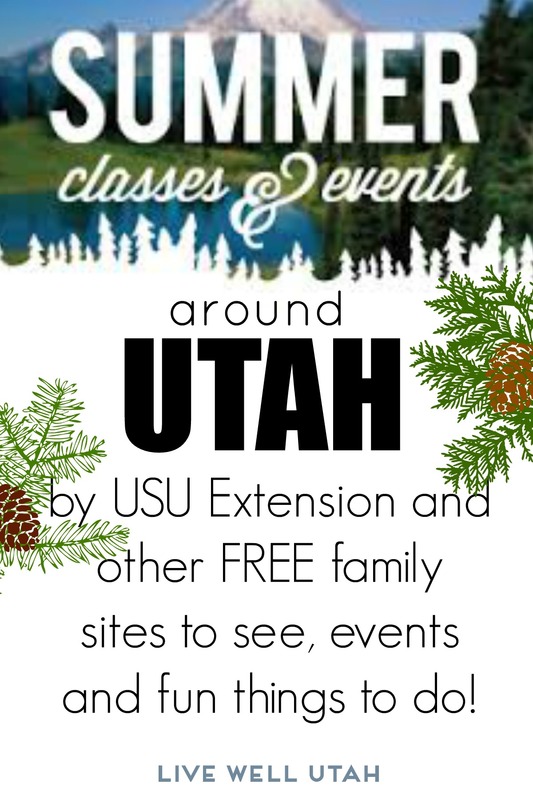 If you are in the Davis County area, one of the Aggie Adventure Camps offered is at the USU Botanical Center in Kaysville. 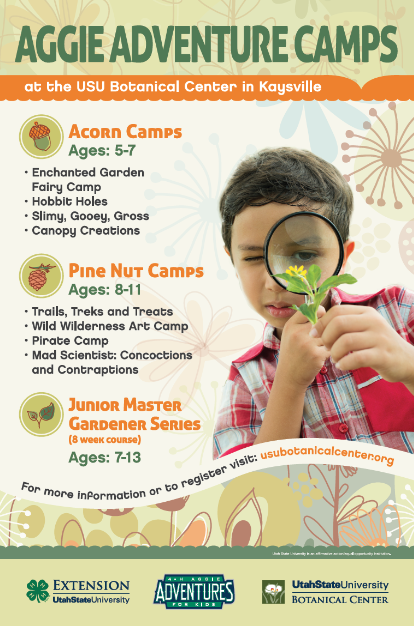 There are day camp options for kids as young as 5 years old all the way up to 11. Wayne Country residents can get creative each Tuesday at Craft and Create! Contact the USU Extension office in Wayne County or check out their Facebook page for project details and prices. 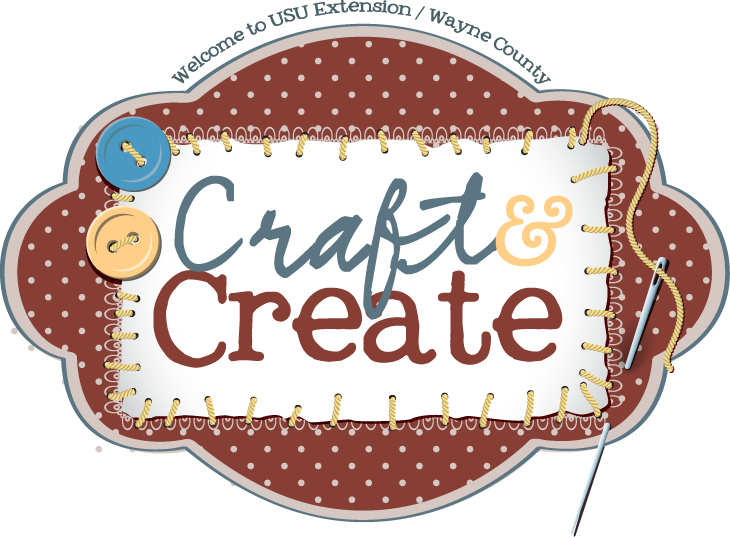 They meet every Tuesday –-the sewing group meets at 10 a.m. and the crafting group meets at 4:30 p.m.
USU Extension offers many classes, camps and events all summer long around the state. Here’s a handy calendar of summer events – click over – with the events broken out by day. It gets updated all the time too! A quick way to cool off is to head to a splash pad! 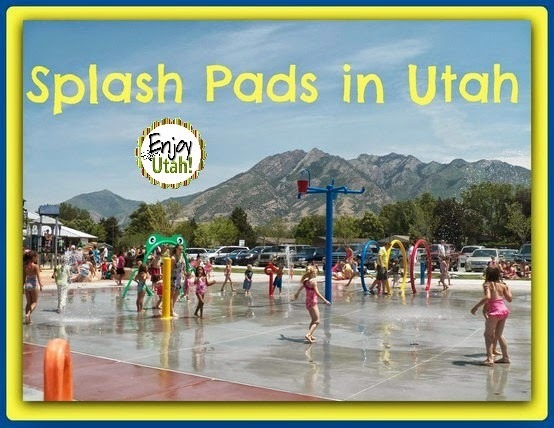 Enjoy Utah has a GREAT list of Splash pads around the state. Most are free, but check their list before heading out. Splash pads can be a day of fun, so pack a picnic and the sunscreen! 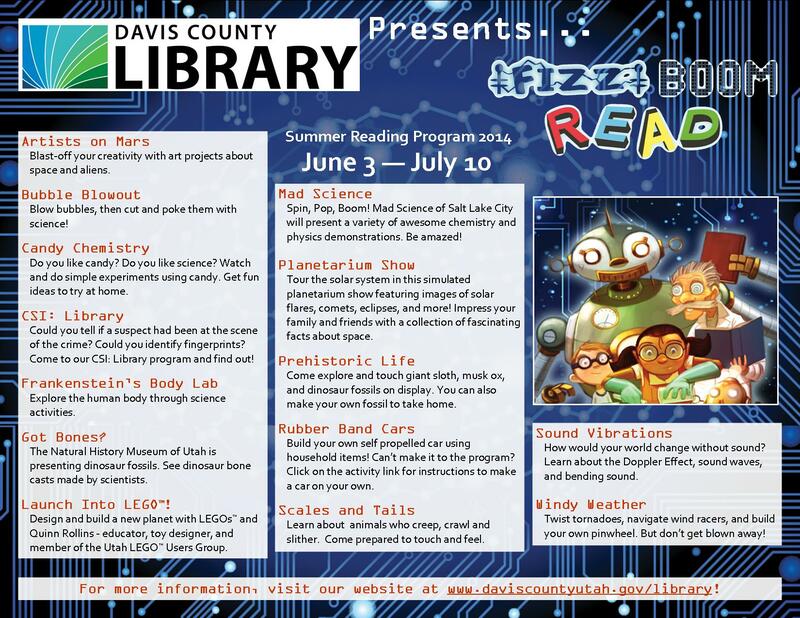 Summer reading and adventure go hand in hand with the Public Libraries Summer Reading Program. Based on a theme with special classes, attractions, hands-on crafts and more, your little ones will be entertained for free while sneaking in some of that good ol’ education. Check your local library to see what it is offering and when the special events are. 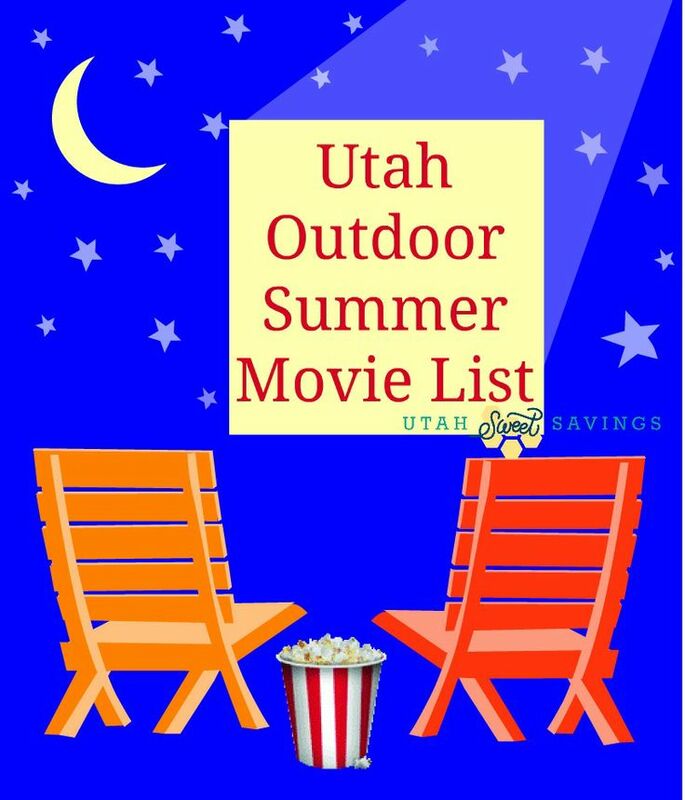 Utah Sweet Savings has compiled a big list of FREE OUTDOOR movies to enjoy this summer! Some of the cities offer them regularly and some only offer a few. Check out the list for outdoor movies from Northern to Southern Utah. Weber County offers free admission to several of its museums, recreation parks, swimming pools and more through the RAMP program. Check the schedule here to see what events are free on Saturdays throughout the summer. What other free activities are available in your city/county for the summer? What can we add to our list to round out our summer fun? Let us know!